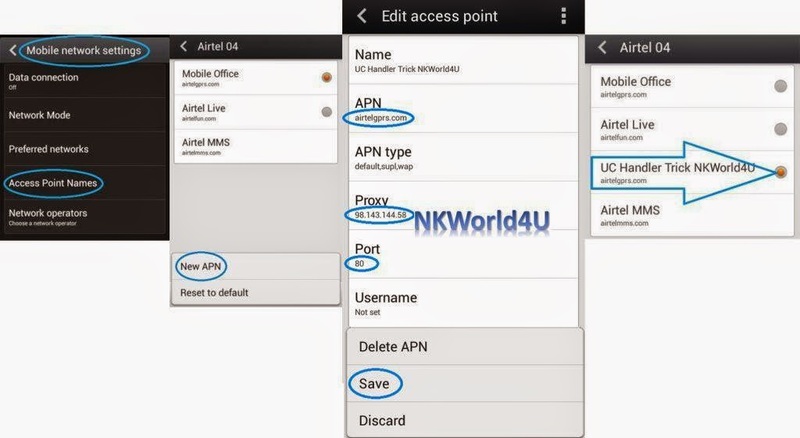 Welcome Back Friends, Few Days Ago We Have Shared Airtel Free Internet UC Browser Handler Trick. Using This Trick You Surf And Search Anything In UC Browser Handler. But unfortunately This Trick is Not Support Downloading. So You Could Not Download Any File To This Trick, But We Was Promised That We Will Find The Right Solve Of This Problem And Share Soon. So As Per Our Promise today We Are Presenting The UC Browser Handler With Downloading Support Trick. Using This Trick You Can Now Make Your UC Browser Handler With Downloading Support. You Can Download Any Files With UC Bowser Handler. 1. You Can Use This Trick Only With UC Browser Handler Android App. 2. In This Trick You Can Use Free Internet Only Into The UC Browser. Beyond UC Browser Handler This Trick Will Not Work. 3. Use Only With Rs. 0 (Zero) Balance (To Avoid Balance Deducting). 4. Now UC Browser Is Support Downloading. Surf And Download Anything. First Of All Download UC Browser Handler Android App. In This Trick You have To Change Two Settings. 1. First Change in the Mobile System - APN Setting – Same as Proxy Trick. 2. Second Change in the UC Browser Handler - Handler Menu. Steps 1). 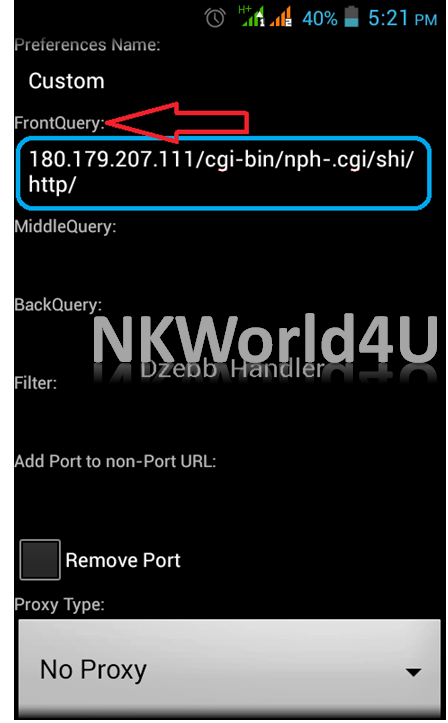 Change In The Mobile APN Settings - Create A New APN (Access Point Name): Same As Proxy Trick. 3. Then Go To >>“Access Point Names” (APN). 6. After Making This New Apn >> Click On Options Button & Select it. That’s It, First Steps Has Been Completed. 6. Now At Last Click On >> “SAVE” Button. That’s It, All the Steps Has Been Completed. (: Now Enjoy! :) Now Surf And Download Anything With UC Browser. If You Like This Post Please Share To Your Friends And Like Our Facebook Page. bro this is 100 % working, plese read all steps carefully, you can also try opera mini handler trick http://nkworld4u.blogspot.com/2014/07/airtel-free-internet-second-opera-mini-method.html thanks. keep visiting. My sim got blocked doing it i guess. How can i rectify it? please wait few days. it will automatic unblock. hi pankaj thanks for sharing this setting. Very Very Thanks pankaj....its work,i m enjoying free uc. Entertainment now at your Finger tips! Simply click on "Vlive" in your SIM menu & choose from wide range of Information across the City, Entertainment & lots MORE on your mobile. Click on the 'Hot & New' section and download the latest list of services on Your Mobile! Select various services and get the best and latest information at your Finger Tips! Charges - Rs. 3/outgoing SMS. Subscribe to select Services at Rs.7/week! Will it work only on AIRTEL Sim ? 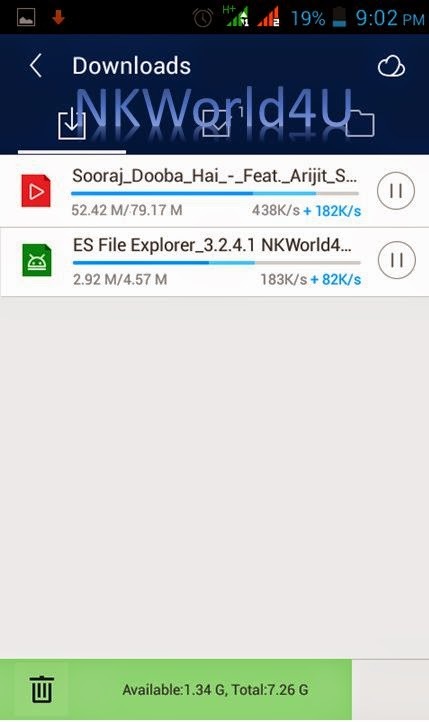 the files are downloaded in only 2-3 seconds.. pls help me ..
continuously improves on performance, this is one mobile browser that almost never fails to disappoint its users. This UC Mini Apk a lightweight browser and fast browsing experience, UC Browser Mini is the best mobile browser for you. This Uc Mini Download is useful for complete range of mobile phones and million of users free download this app for their devices. UC browser gives you a secure searching point for your phone.